Recently we’ve had an influx of GORGEOUS new products in the shop! 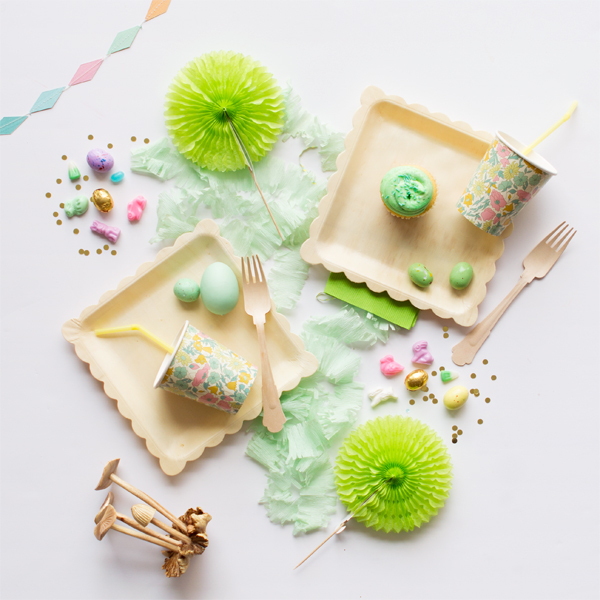 I’m particularly excited about the new pastel and birchwood items, especially now that Spring is upon us and Easter just around the corner! 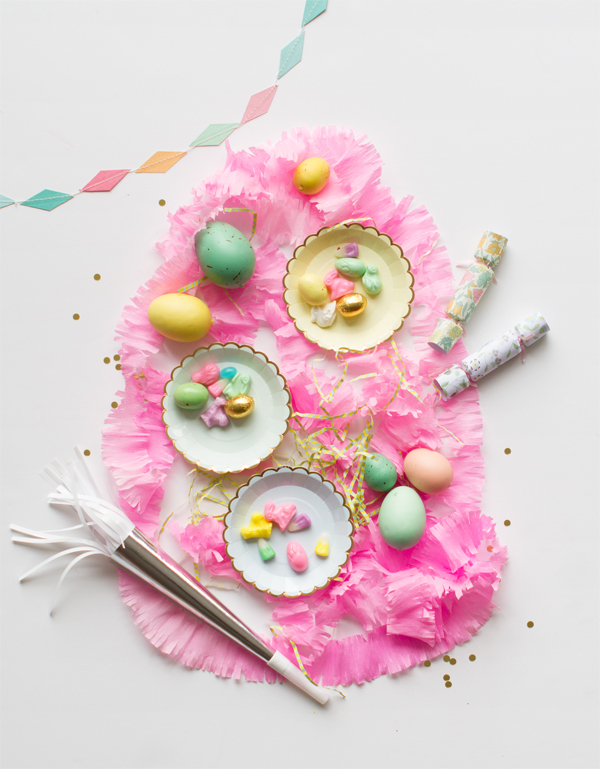 Mix and match birchwood and pastels with our floral Liberty of London items and accent with metallics to create some pretty Easter and/or spring-themed parties! I really like the shade of the birchwood, it fits well to the pastell colours! 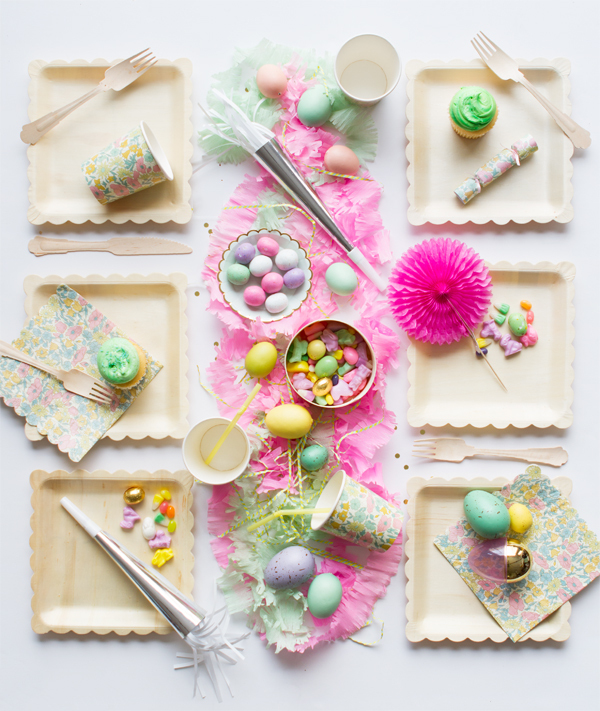 This is such a fun and bright Easter spread! I love all the details! So fun and lively! 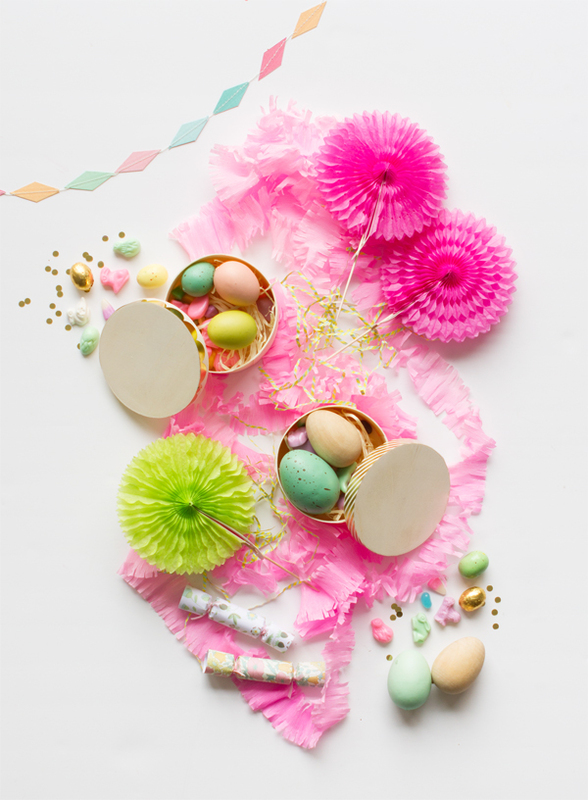 Loving all the bright colors. Beautiful plates and napkins! So cute! YAY! Can’t wait for Easter.